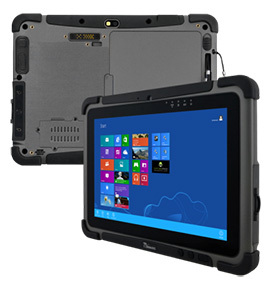 The Winmate M101B and M700DM4 are among the first rugged, mobile tablets by Winmate to offer 4G LTE connectivity. This means increased bandwidth, rapid connectivity and powerful processing. With 4G LTE, the M101B and M700DM4 offer fast data transfer and real-time communication, transaction processing, large file sharing, and streaming.Why does this increased connectivity matter for those operating in rugged industries? Today many construction companies utilize web-based applications to report construction project updates from the field to managers working remotely. The M101B with 4G LTE allows on-site crews to send large visual files such as photos or 3D graphics, and other data to the office and other key project managers. The real-time, mobile communication improves productivity, efficiencies and resource allocation, often resulting in decreased operating expenses. 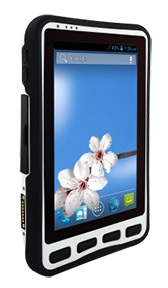 The large, 10.1", sunlight-viewable touchscreen allows for easy viewing of plans, schedules and diagrams. In public safety, the enhanced 4G LTE connectivity enables fast, efficient communications between dispatch centers and safety officials in the field. This helps ensure the appropriate emergency response is rapidly dispatched, and traffic is redirected as needed to ensure safety. The M101B is constructed for use in vehicles with its optional secure vehicle dock and antenna pass-through for GPS and driver tracking. The M700DM4 with 4G LTE enables incoming and outgoing shipment tracking, while storing and monitoring inventory information in the warehouse – all in real time. Warehouse staff can check a shipment's location status, and locate and update inventory records instantaneously.The processing power and speed of the 4G LTE in the M700DM4 also give retailers, store owners and their supply chains the upper edge in operational efficiency, asset tracking, inventory management, and sales effectiveness.